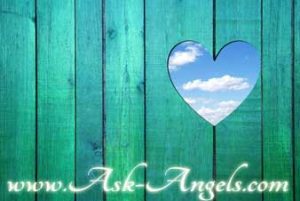 I am excited to share with you a channeled angel message I found buried deep in the Ask-Angels.com archive, but which is still incredibly relevant and helpful today! . Simply relax, listen or read, and focus inward to connect with the incredible light and angelic love present on Earth and available to you now! In this Angel Message from The Guides and Angels of The Light you will be guided to reconnect with your power to create with love, light, and in this moment now. Simply click the link below to listen to the angel channeling, or download to your computer. This channeled message has also been transcribed for you below if you would prefer to read it. Click to listen…. Right click the following link to save to your computer (ctrl click mac) or press and hold on phones/ tablets. Indeed, we are here. We are the guides and angels of the light, and we greet you in this now with frequency, vitality and love. Take in a deep breath of air, and as you do, visualize golden light spiraling all around you and allow this light to enter into your being. Breathe deep into your abdomen, filling yourself with light. And as you do this, relax, breathe and let your mind be calm while your spirit rises up into the realm of love, of peace, of light. This is the energy of love. Breathe it into your being to cleanse your body, to clear your mind, and to fully be present with us in this very now moment. For you see, this now, right now, you have unbelievable power available to you. You are far more than the physical being and body in which you inhabit. You are spirit. You are source. Feel your energy elevating as you begin to embody this self, this authentic spiritual being that has always been, will always be, and can fully connect, fully merge with your physical self now. As you do this, as you embody the great power and wisdom and light of your higher self, you do indeed heal your body, but you also align yourself with the true path prepared for your life to serve. Yes, to love, yes, to enjoy, yes, to transcend all limitations, all doubts, and all fears entering into this now. The power is in this moment. And with your open heart, you can forget your name, your limitations, and your doubts, fully uniting, fully sitting, fully present in this now, as the spiritual being of light, compassion, radiant energy, well-being, health, vitality. You see, life was not meant to be a struggle. You are challenged, yes. You are presented with opportunities to learn and grow, to shine or fail. But however you create, however you are currently experiencing your world, you can choose in this very moment, this now, to drop in, to let go, to simply be. Through being, you are connected to your power, and your power is awaiting your creative use, awaiting your design. You are the creator of your reality. By believing in this, trusting in this, and being excited by this, anything you desire can be created. And we say to you, by daily entering into your heart, building energy up, uniting with the authentic and spiritual you, you will know your true desires of your heart, you will know the steps to take to bring you into contributing, serving, and helping the world. That is why you are here: to enjoy, yes of course, to grow, to design and to create blessings in line with your truth, your spirit. This is your life you are living, and yet, you are connected energetically to all of existence, to all past and future and parallel realities, to all creatures. The power in this is when you heal your inner world, releasing all that no longer serves you, boldly stepping into the light, opening your heart, choosing to authentically be you. Your energy signature, your personality, your characteristics are divine and unique and will help you accomplish your specific goals. Open your heart and allow the light of your higher self of divine love to flow through you, washing away all your doubts and fears and allowing you to simply be. When you find yourself fragmented, disorganized in chaos, in turbulence, remember this motion, quieting your mind, dropping into your heart. And immediately, you will see the realm of love, of light, of spirit is here. We are always here awaiting your connection. We are a breath away. And so, take in the deep breath of life-force energy, light, well-being and allow this to be the thought you send out to the world, the reality you create and design. Follow your heart, your inner promptings, the things that excite you, that bring you joy. Honor your individual path, your inner light, yourself. Love. Loving yourself, enables you to lift even higher, raising your vibration so that you can contribute, you can serve, you can lead the way of the new paradigm on earth; living not in fear or doubt, but rather in unconditional love and well-being. You must choose this for yourself to manifest it. But with this choice, with well-being flowing through you and guiding you, you can rest assured that the fulfillment you seek, the purpose you seek will naturally unfold. Where you are now is divine. Honoring this and loving this will allow you to move forward into your next level of experience, of becoming. Connect with your spiritual truth. Let your frequency grow and build. Be bold, be strong, be vibrant, for you are a light being. And when you share this, when you radiate this, you will find that your creations do naturally appear. You will find the synchronicity, divine timing, and coincidence to powerfully work to your advantage. And you deserve this. Creating in reality with joy, hope and love, you can bring about anything you want, including a peaceful, joyous earth. And all you must do is return to this feeling, this place of open heart and calm mind to know, to feel, to be aligned with truth, aligned with your path. Move in this direction, and dear one, you will accomplish your desires, your intentions and effortlessly flow with the universe. Remember to breathe, to fill yourself with light. Remember that you are divine, you are spirit, and this exciting time in which you live offers you the opportunity to merge your physical self with your full spiritual being, power, light. This is your purpose, should you choose to accept. And choose you? Simply move in the direction of light evermore, learning to respond with love, despite whatever illusion is in front of you. Claim your power in this light through living love, breathing love for yourself, for others, for your world. Breathe it in, and on your out-breath, let go and feel what no longer serves you, exit and release up into the light, leaving your body, leaving your experience. For now is your time to shine. We are the guides and angels of light. We invite you to call on us at any time. You are deeply and dearly loved and supported. Know there is tremendous energy available to you now to manifest, to heal, to create your reality by design. Connect with this through your heart. Let it flow through you, creating blessings, miracles, and love in your world. Manifesting with Love, Free Angel Message!